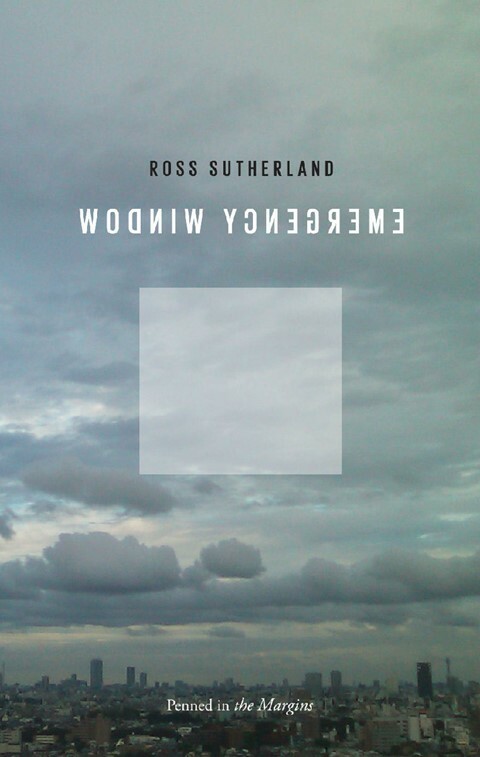 Ross Sutherland’s second full poetry collection, Emergency Window, published on 10 August, inhabits an unnerving digital landscape, the poems often experimental, often written in collaboration with computers but ultimately human. Sutherland is one of the Aisle 16 collective of writers who include 'Submarine' author Joe Dunthorne and run a monthly work-in-progress showcase night, Homework, in Bethnal Green. Dazed Digital talks to him in the middle of running a summer school for teenage poets, just before a month-long run at the Edinburgh Fringe, after which he is travelling to Bangladesh with the British Council. Dazed Digital: What are some of the themes of your new collection? Ross Sutherland: I started writing it while I was in Edinburgh last year and watching the London riots on the television, sitting with people seeing their own streets. I was really interested in the themes of violence and anger, and also German rubble films (Trümmerfilm) made in Berlin after the war, in among the debris, trying to piece something back together. I ended up going back through some of the twitter feeds and web forums connected to the riots and assembling found poems. That was more successful than me telling people what to think. It’s a book that shakes itself apart by the end which is where the title - Emergency Window - comes from: something which shatters itself completely. DD: Why did you write 12 sonnets about the characters from Street Fighter 2? Ross Sutherland: I liked the idea of elevating Street Fighter to the level of Greek mythology. I went back to the SNES manual and the cast are individually well-defined, all representing a different part of the human psyche. Sometimes when you take a serious subject you can treat it with disrespect but when you are working with something relatively facile, you can bring some power and authority. The Street Fighter poems are some of the most serious things I’ve ever written. DD: Can computers write poetry? Ross Sutherland: Making that documentary I started off with this general idea of exploring the differences between the ways that human beings read and write and the way that computers read and write. I was particularly fascinated with the new statistical ways that the Google Translate system works. But by the end I managed to completely confuse myself... the differences between the two sides get more and more blurred. DD: How has Homework developed? Ross Sutherland: When we started it five years ago, we were more straight poets, but our last event included a karaoke stand up comedy set, a seven-minute ballad to Raoul Moat and a Choose-Your-Own-Adventure story about lucid dreaming. I’m extremely proud of the fact that all three of those things can exist on the same bill.